Fast and efficient services don’t necessarily mean costly fees, as shown when you call our team. When you require the assistance of our Garage Door Repair Boston professionals, rest assured as we’re ready any time of the day. This is because we aim to offer excellent workmanship without putting a hole in your pocket. With our garage door services, your family’s safety isn’t put on the line - which is usually the case if you don’t pay attention to damages, especially to entryways. 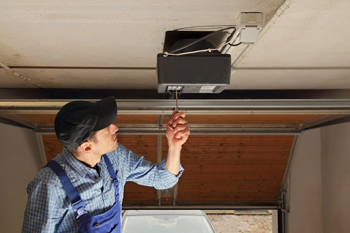 Is your garage door stuck because of a broken hinge? A roll up that lost the sense of ‘rolling up and down’? These could provide easy access to burglars - pests even! And do you know that home robberies are common illegal activities these days? What’s worse is that most people only take precautionary measures after falling victims to such a crime. Don’t be one of those homeowners who didn’t keep their place secure enough. Even if the crime rate in your neighborhood is low, don’t be too confident. You should still implement safety and security measures. You probably have an idea what these are. Install alarms, surveillance system and a gate. Place floodlights and sensor lights at the yard. Keep the windows and doors bolted at all times, especially when everyone’s out or asleep. And so on. What you may not know is that the garage could also be a potential access for burglars. So, if it requires servicing, get in touch with our company right away. We can cater to jobs no matter the size. We’ll respond to your call any time of the day, whether it’s morning or night. Most of all, we’ll rush to your aid immediately whenever you need emergency fixes. 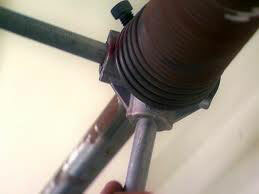 Now, that’s not the only thing we can do, here at Garage Door Repair in Boston. We offer a range of services and products. Need to have that rusty door replaced? Call us for installation and replacement. Want to get rid of that squeaking noise? We provide maintenance as well. Plus, we guarantee high-quality and cost-effective products from top manufacturers. So, if you wish to obtain servicing, you know who to approach. Give us a call or send us an email for your enquiries. If you need emergency repair, get in touch with us and we’ll rush to your aid.